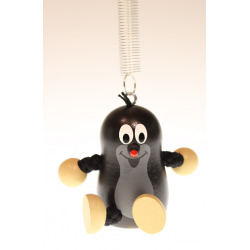 A magnetic table - Mole is travelling. 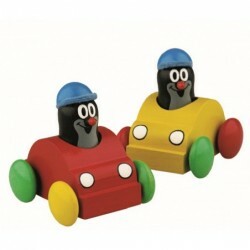 The children insert the pieces that have a magnet underneath. 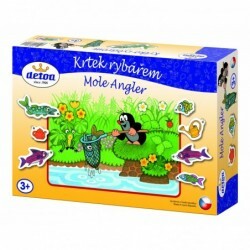 On the back of the box are several themes according to which children can compose as a mole with a mouse. 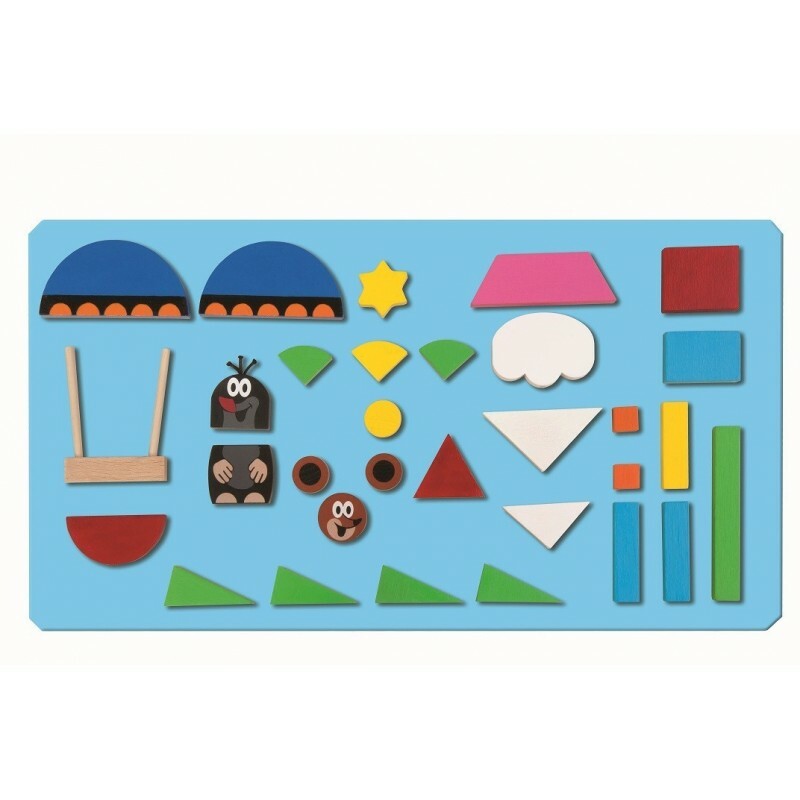 This game supports kid's skill, didactic skills and their imagination. The toy is packed in solid box. The toy includes a metal table, two wooden pieces on the status tables and wooden pieces with magnets. The box size: 33H x 20,5W x 4D (cm).